Granada city is full of sights to see; famous for its vast array of cultural monuments, it is a very popular holiday destination. As with any city there are scores of hotels to choose from in Granada. Whether you are here for a short city break or a summer holiday Granada has a hotel for you, with a wide variety of prices, styles and features. There is a vast array of smaller, boutique hotels offering delightful courtyards and peaceful settings in the middle of the city, as well as luxurious four and five-star gems located next to the Alhambra. Budget hotels in Granada also have a lot to offer, so it definitely worth looking around before deciding to part with your money. Listed below are our personally-selected and reviewed hotels in Granada. Enjoy. See Map. For information on Apartment Rentals in Granada, visit our Granada Rentals page. Set in a 19th-century palace, 650 metres from Granada Cathedral, this beautiful luxury hotel offers a spa. The UNESCO-protected building features a garden with Arabian-style fountains and elegant rooms have a contemporary design. AC Palacio de Santa Paula, Autograph Collection is on Granada’s Gran Vía, a main street through the historic centre. It occupies the former 14th-century Casa Morisco, and 16th-century Santa Paula Convent, with its impressive cloister. Alhambra Palace is located just outside the Alhambra’s ancient walls, offering spectacular views over the city of Granada. It features stylish rooms with Moorish-inspired décor & free Wi-Fi. An à la carte restaurant serves Andalusian food. Located at Loja 60km west of Granada city on a magnificent private countryside estate featuring a pool and fitness centre. Constructed in the style of a traditional Andalusian palace, the hotel is surrounded by grounds with breathtaking views of the unspoilt countryside. 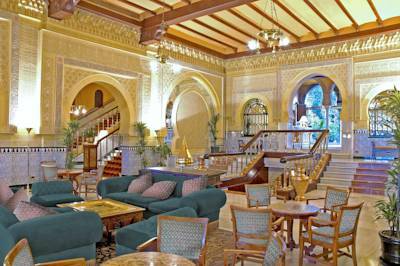 Set within the grounds of the Alhambra Palace, the Parador de Granada has a beautiful location. Housed in a 15th-century convent, this luxurious hotel features a popular restaurant combines original features with chic décor. Situated next to Granada Bus Station, this modern hotel offers a gym, a 24-hour café and a business corner with a free computer. Each bright, air-conditioned room offers free Wi-Fi and free bottled water. 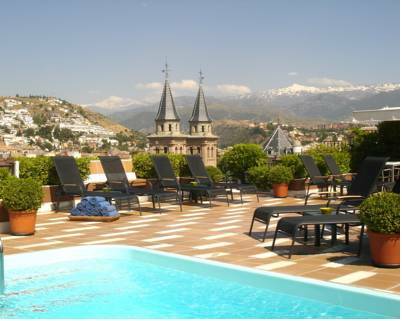 Hotel Carmen is located in the centre of Granada has a rooftop swimming pool with views of the Alhambra Palace. It offers free Wi-Fi and a restaurant an open-air bar. The spacious, air-conditioned rooms feature private bathrooms. Maciá Monasterio de los Basilios was built over an old Muslim temple and is next to the Genil River. There is free Wi-Fi and a flat-screen TV in all rooms. The convent building dates from 1616 and has many original details. 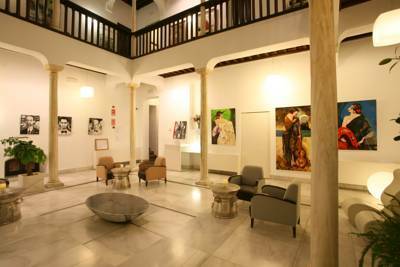 Situated in the historic district of Albayzin at the foot of the Alhambra, this offers unique accommodation within a noble house dating back to the end of the 15th century. The hotel boasts stunning views of the Alhambra and Generalife. Hotel Casa 1800 Granada is a restored 17th-century building set in central Granada, within 500 metres of the Alhambra. Most bedrooms look onto the interior Andalusian patio, while some have Alhambra views. All have luxury furniture. Monjas del Carmen is set next to the Moorish Albayzín Quarter. Its soundproofed, air-conditioned rooms feature a private bathroom with a hairdryer and amenities. The restaurant serves Mediterranean food and has a terrace. Set in a traditinoal building with modern interiors, this design hotel has a rooftop terrace with fantastic views over Granada and the Alhambra Palace. It offers free Wi-Fi and stylish, air-conditioned rooms with plasma-screen satellite TV. This stunning 16th-Century property, perfectly set overlooking the Alhambra, has been beautifully restored, inspired by the poetry written by Juan Ramón Jiménez in Granada. Admire the features of the building, including an impressive façade, marble floors and pillars. Hotel Párraga Siete is set in a charming 19th-century building in the old town. It offers stylish rooms and an à la carte restaurant. 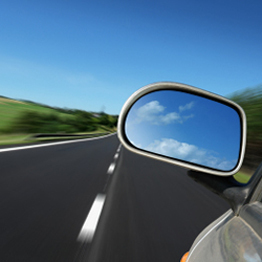 Each spacious, air-conditioned room has attractive, contemporary décor. There is a flat-screen TV and free Wi-Fi is available at reception. 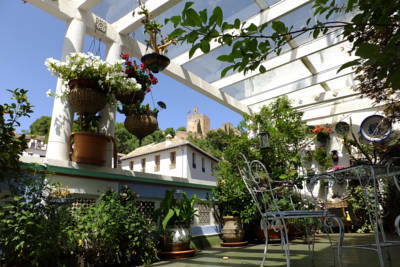 Hotel Abadia is set in a restored 16th-century building, 10 minutes' walk from Granada Cathedral. Rooms are set around a tiled courtyard, with a fountain and plants. The Andalusian-style rooms have tiled floors and decorative ornaments and come with air conditioning. Hotel Reina Mora is set in Granada's beautiful old town. It offers free Wi-Fi and elegant, air-conditioned rooms with parquet floors, a selection of pillows and a TV. A buffet breakfast is available from 07:00 to 10:30. Private parking available at a surcharge. Featuring a furnished sun terrace with great view of the iconic Alhambra, Pensión Landazuri offers 24-hour reception and free Wi-Fi. Rooms come with private or shared bathroom with bath or shower. Free toiletries are provided. Hotel Molinos holds the Guinness World Record for the narrowest hotel in the world. It has a rooftop terrace with views over Granada. The air-conditioned rooms feature cheerful colours and come with a private bathroom. Set in an unbeatable location within the grounds of the Alhambra Palace, the Hotel América successfully combines charming traditional décor with modern facilities, such as free Wi-Fi. Features comfortable, air-conditioned rooms. 5 minutes' walk from the Alhambra, Hotel Mirador Arabeluj showcases the region’s traditional Mudéjar style, featuring oil paintings, colourful tiles and balconies with fantastic views of the city. Air-conditioned rooms feature private bathrooms. Read our detailed page on how to purchase you Alhambra tickets. We also present a hand picked selection of Alhambra tours with and without hotel pick up. Tickets and tours are fully booked most of the year. If fully booked, purchase a Granada Card which usually has availability.